If you’ve set out to rebrand your business, or if you’re launching a new business, you’re probably wondering how in the world you’re supposed to pick the colors that will represent your brand identity. Luckily, it’s a task that’s been done many times by many successful companies, and we can learn from what they’ve done and apply it to our own businesses. 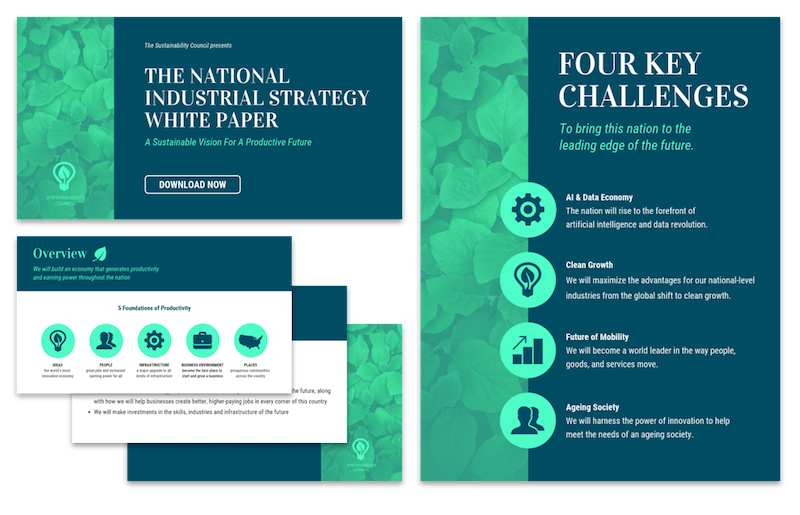 Once you’ve worked through these exercises, you’ll be able to grow your brand recognition by applying your new brand colors across all of your collateral, from infographics and presentations to social media images. Here’s an in-depth look at how to pick and use brand colors. 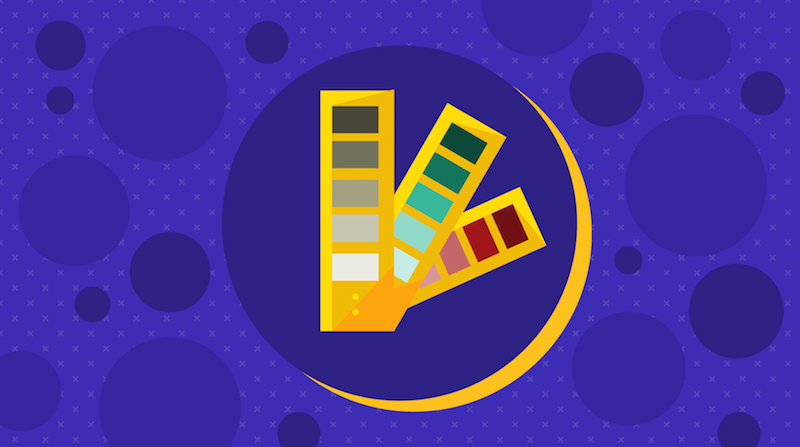 Before you even think about picking your brand colors, you’ll need to lay some groundwork. You need to have a clear understanding of your brand’s personality so you can try to communicate that personality through color. Otherwise, you’ll end up overwhelmed, trying to wade through countless color palette options without a clear purpose. Start by identifying a few adjectives that describe your business. 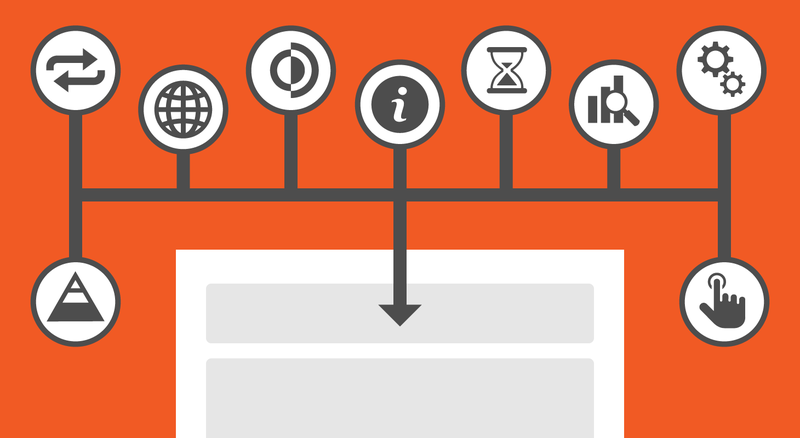 Focus on the things that set you apart from your competitors–your key differentiators. If you’ve already got your company up and running, the best way to get an accurate read of your business is to talk to a few of your most enthusiastic customers. Get those top customers to tell you what they love about your business. 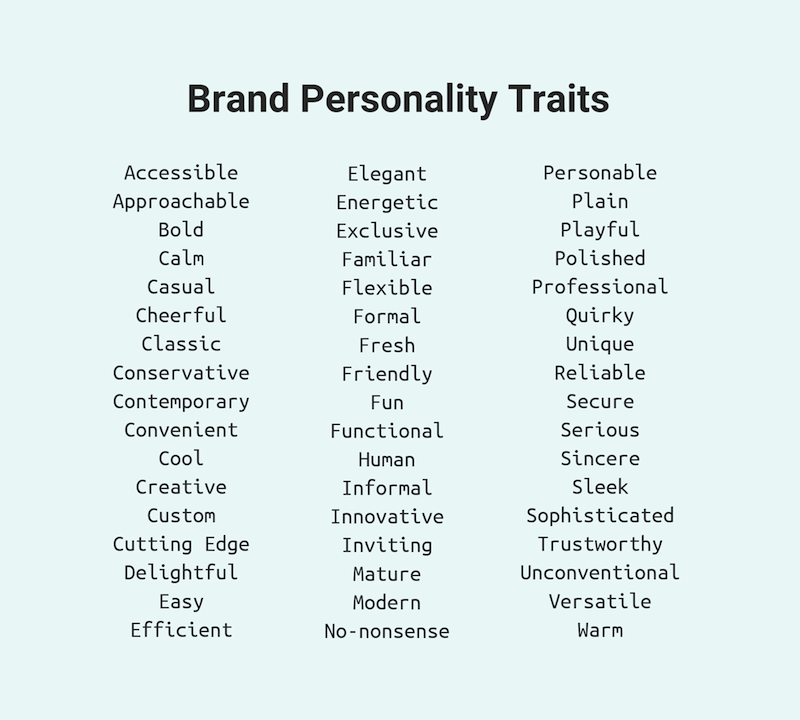 Have them take a look at a list of brand personality traits, like the one below, and pick out the ones that best describe your business to them. 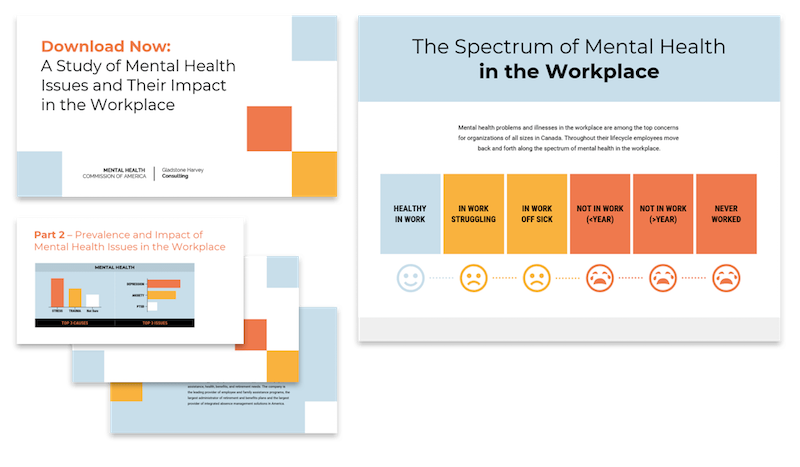 If you’re not at the stage where you have customers yet, you can get your colleagues to do the same exercise, and supplement it with a bit of background research. 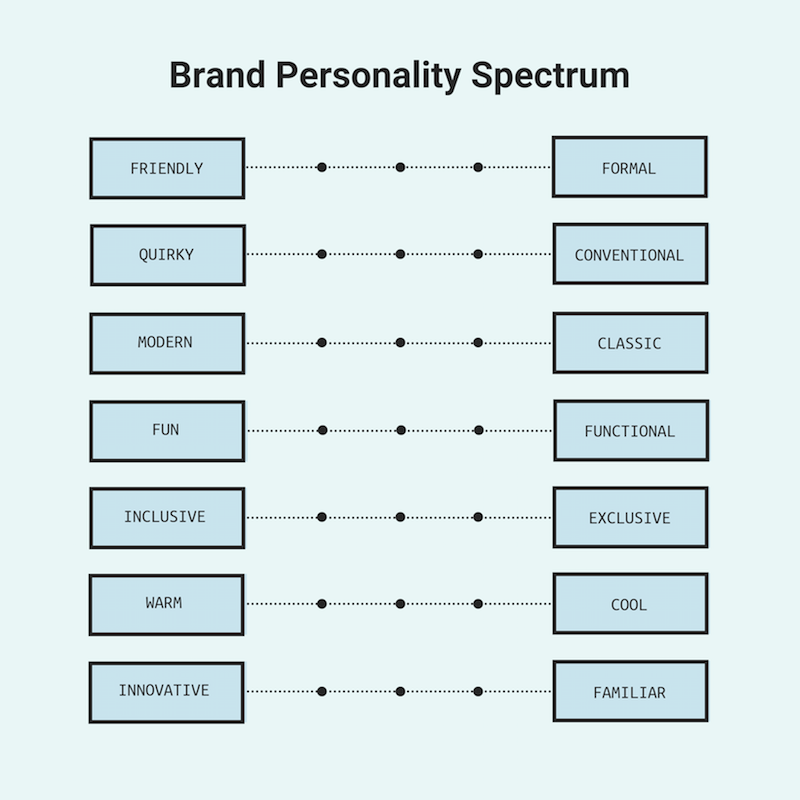 If you’re struggling, a good first step is to place your brand along the brand personality spectrum below. At the end of this process, you should have a list of at least 3-5 adjectives that describe your brand to a tee. 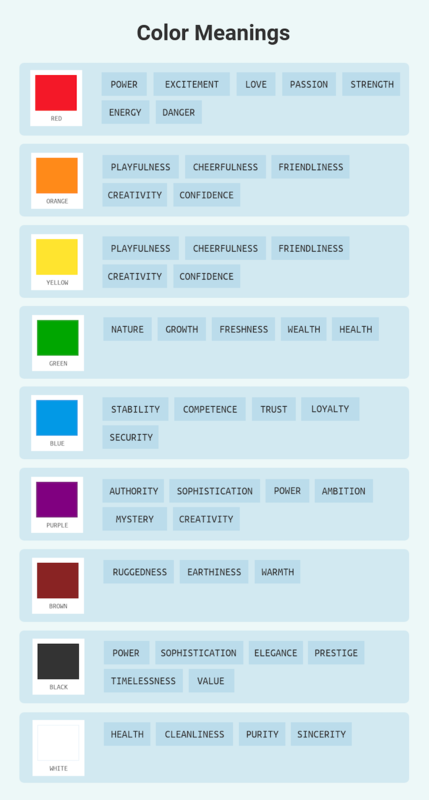 Once you’ve identified your key brand personality traits, it’s time to find the one color that best embodies those traits. This is where color psychology comes into play. Color psychology can help us understand the personality traits that people generally associate with common colors. Ever wondered, for example, why financial and tech companies tend to have blue brand colors? According to color psychology, cool colors tend to evoke feelings of trust, loyalty, and stability, while warm colors are more evocative of energy, excitement, and positivity. 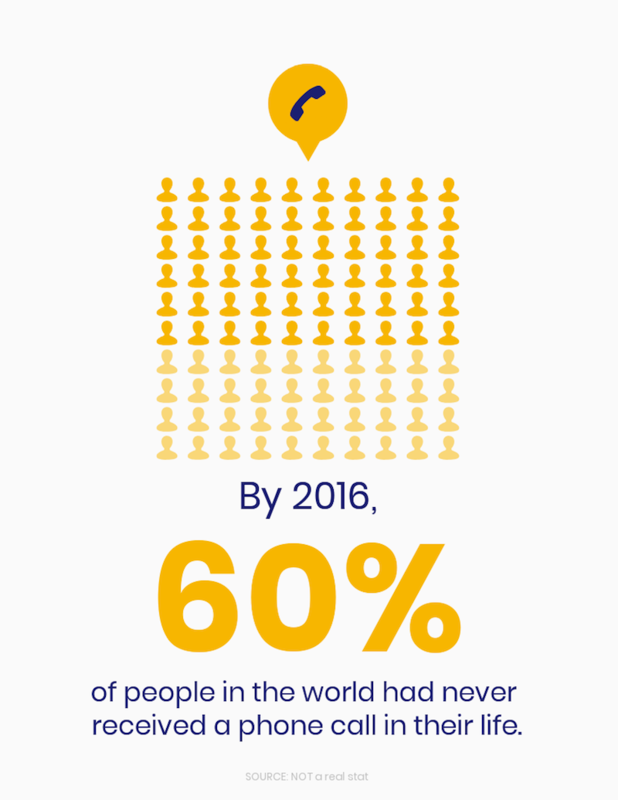 Obviously, trust and stability are critical for large financial institutions that need to convince consumers that they can be trusted with their life savings. The results of our recent study on logo styles back up this idea, suggesting that consumers have strong opinions about how well different color schemes work for various industries. But color psychology goes even deeper than just warm and cool tones. We can go so far as to associate some specific personality traits with specific hues. It’s important to note that these color associations are highly dependant on context, personal experience, and culture, among many other things. But they’re a great jumping-off point for picking your core brand color. 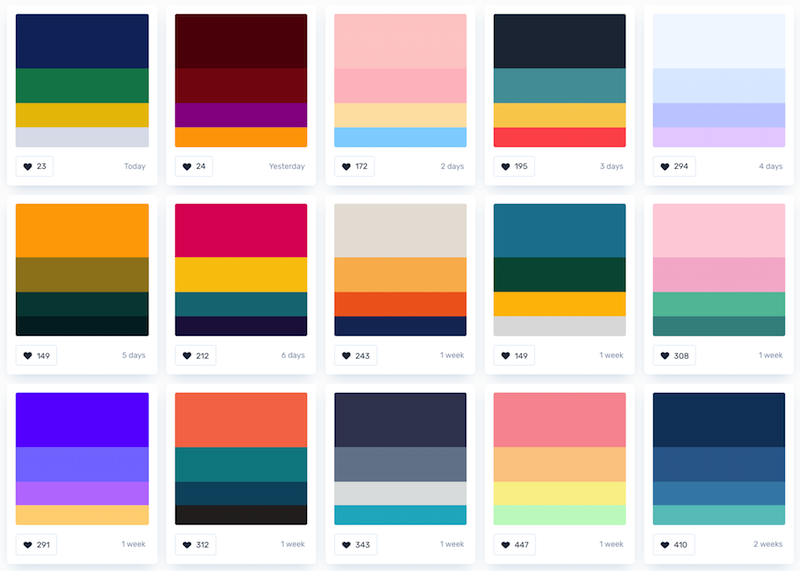 Use the list above to pick the one color that best embodies your brand personality (or the feeling, mood, or experience you want to create around your brand). Now that you have your core brand color picked out, you can start building a color scheme that’s unique to your brand. 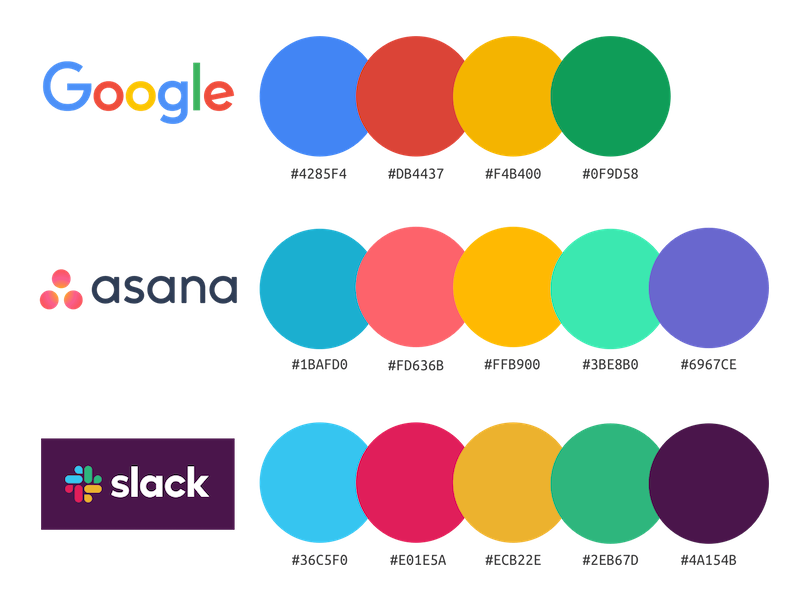 To help you out, I’ve put together a few brand color scheme formulas that have been proven to work by some of the world’s top brands. If you look at many of the top tech companies dominating their industry, you’ll see that one unique brand color can be enough to communicate a complete brand identity. 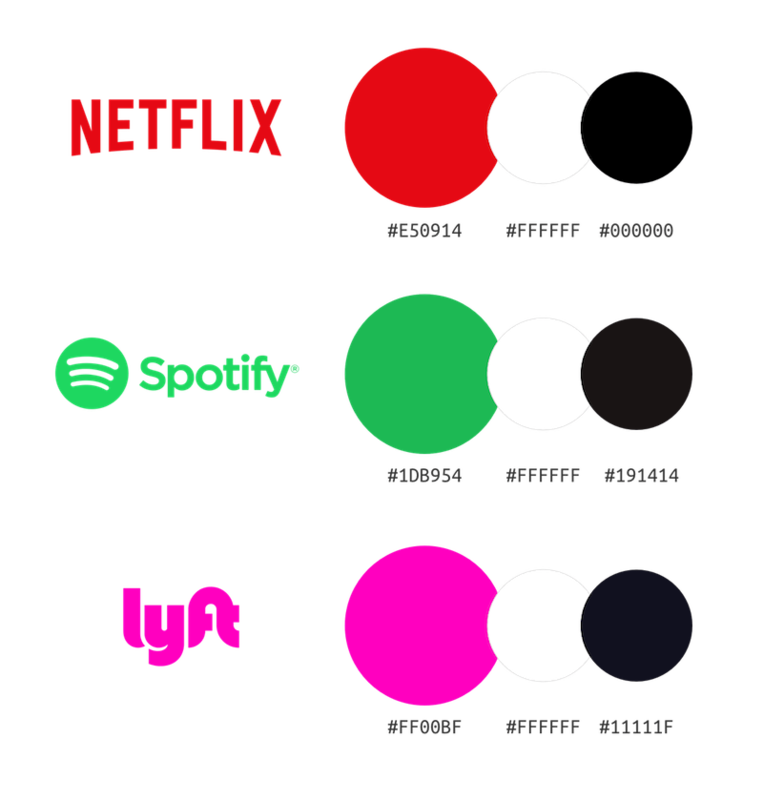 Netflix, Spotify, and Lyft, for example, each have a single bright, dominant brand color that they’ve supplemented with a few grounding neutrals. The effect is striking, effective, and memorable. In fact, according to a study of the world’s top 100 brands, a vast majority of the top brands have only one or two brand colors! So don’t be afraid to keep it simple and stick with that core brand color. 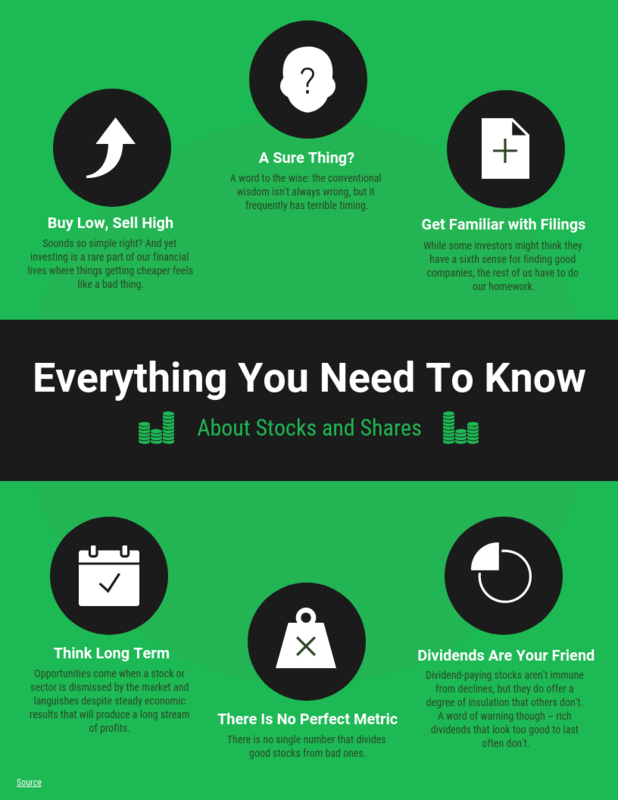 It works pretty well in infographics, too. Research suggests that consumers tend to prefer color schemes with very similar (or analogous) colors. So another way to go is to riff on your core brand color by adding a few related colors. As seen with PayPal, Mastercard, and BP, analogous color schemes are quite pleasing to the eye. If you’re looking for a little more oomph, add a contrasting accent color that’s complementary to your core brand color. 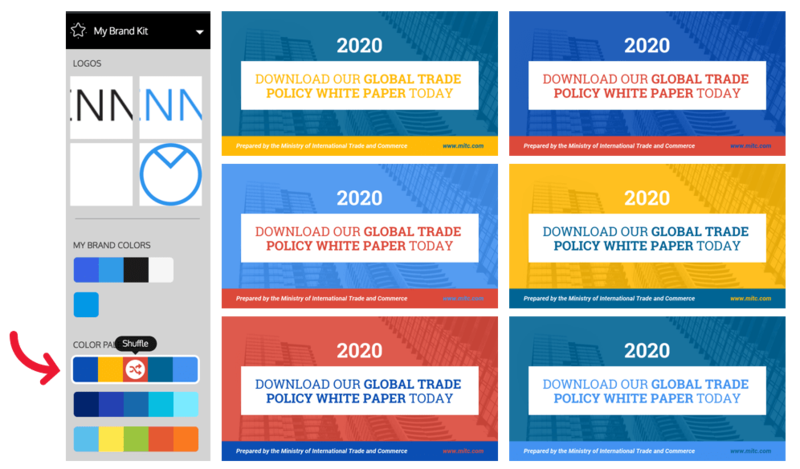 The contrasting accent color will help make your brand pop, and it’s great for making things like CTAs and stats stand out on websites and in infographics. 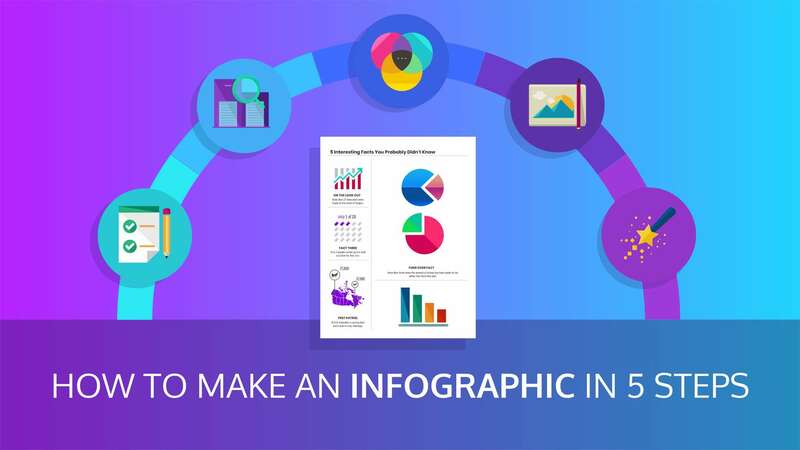 If the idea of contrasting or complementary colors is new to you, you can brush up on your color theory with our guide on how to pick colors for infographics. 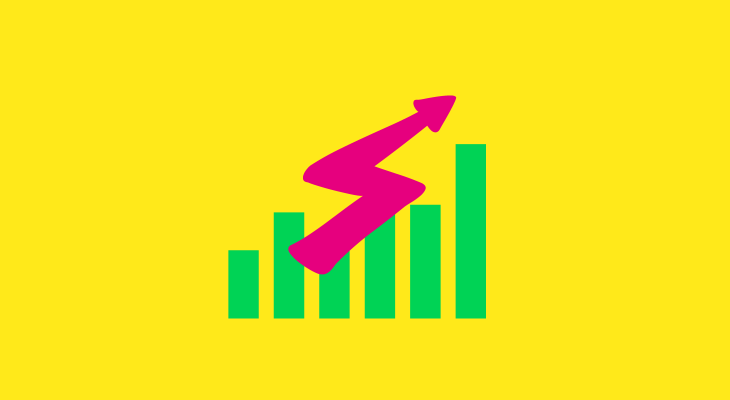 For a bright, modern look, consider following the lead of top brands like Google and Slack. These brands have gone with nearly full-spectrum color schemes that feature 4 or 5 equally vibrant hues. 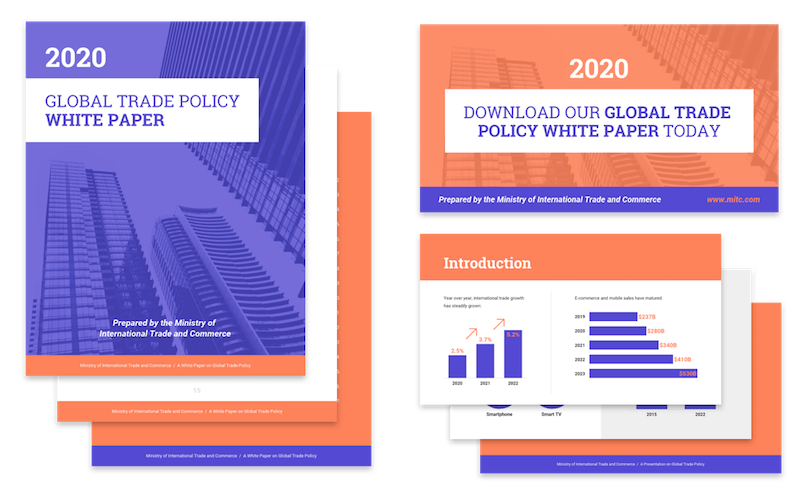 This type of color scheme can make your brand feel fun and approachable, which lends itself particularly well to infographics and other visuals. To get you started, here are some color schemes based on these formulas above. Feel free to use them for your own brand! It’s well established that consumers prefer to buy from brands that they recognize. 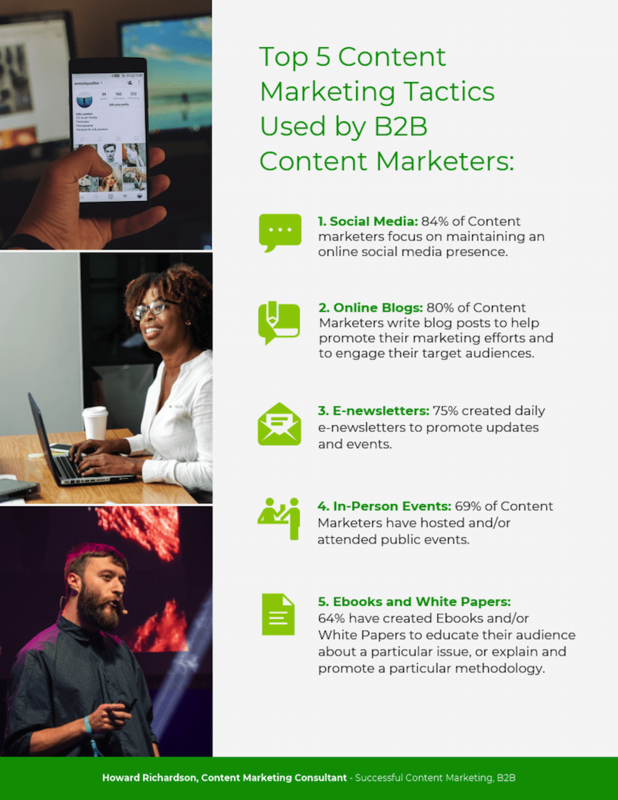 The easiest way to build brand recognition is to apply your brand consistently across all of your marketing collateral. Be sure to use your brand colors (along with your logo and brand fonts) in any infographics, reports, presentations, or social media graphics that your business publicly shares. 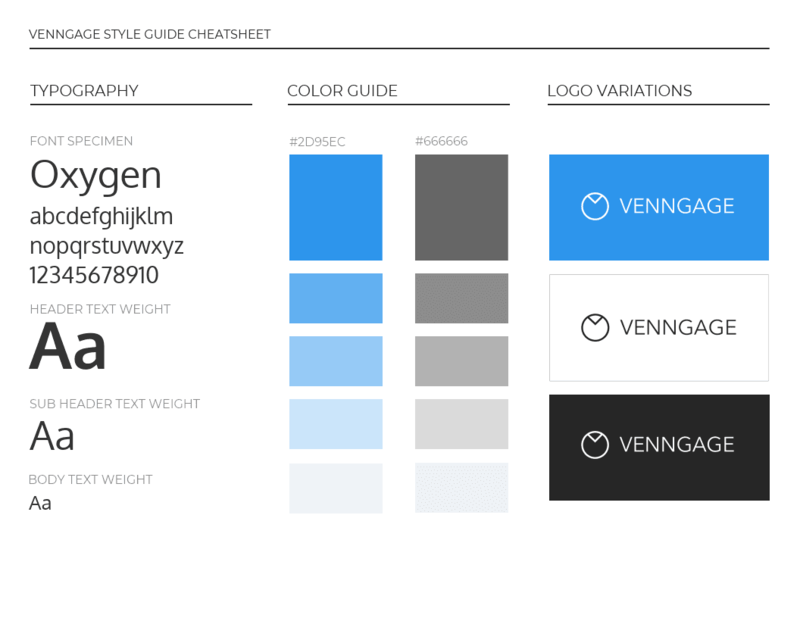 A brand style guide can make this much easier, ensuring that everyone across your organization has quick access to the right color codes, fonts, and logos. 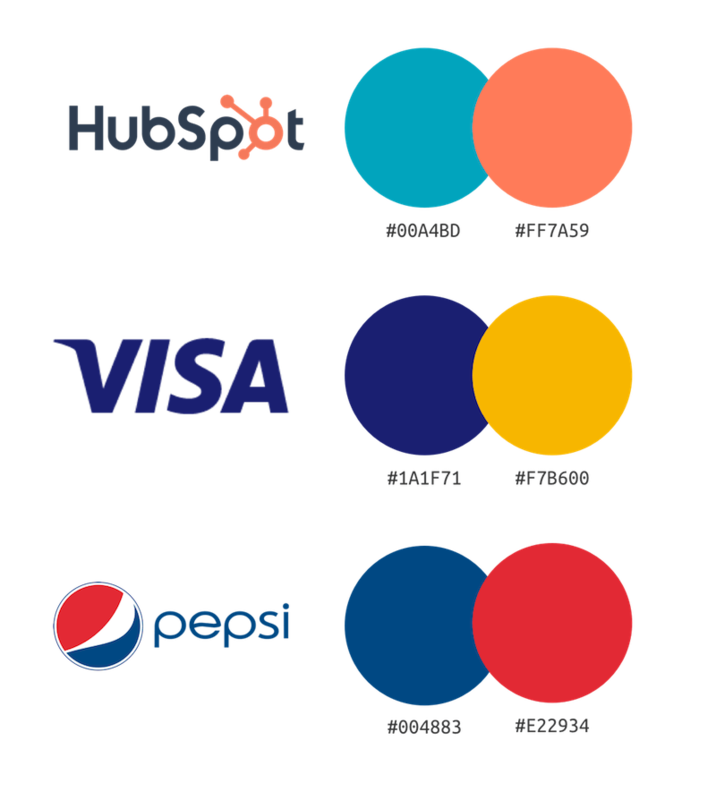 You can even include guidelines about when and where to use particular brand colors to keep your brand identity consistent. 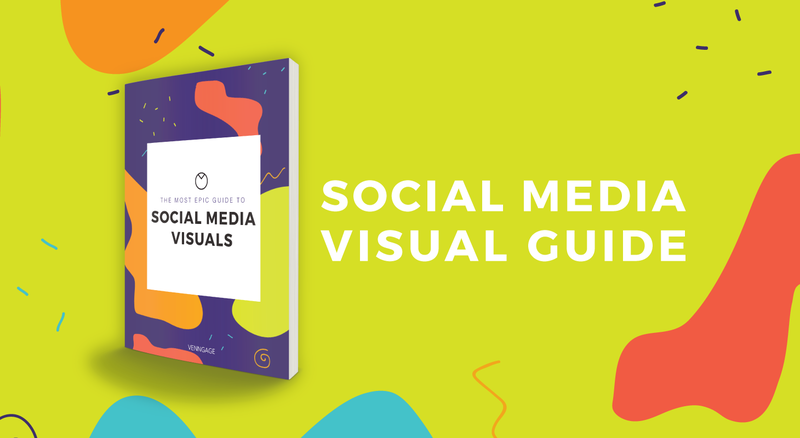 Speaking of which, there are two easy ways to add your brand colors to infographics, reports, presentations, and social media posts. In the design world, there’s a 60-30-10 rule which suggests that only 10% of any design should be a bright, dominant accent color. 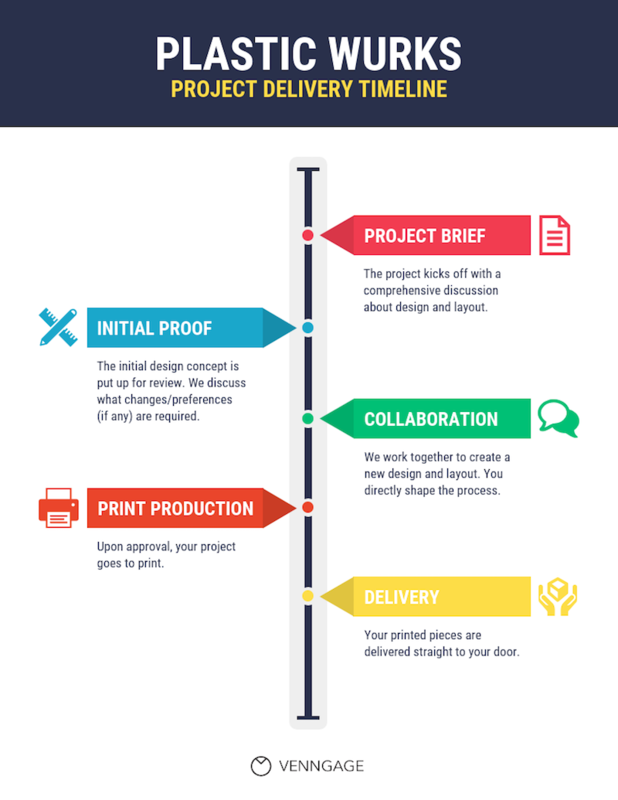 This will make your documents feel branded, but the brand won’t overwhelm the design. 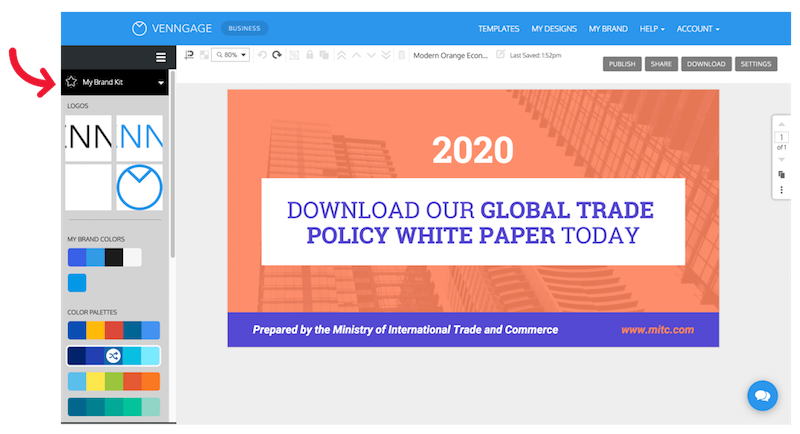 As shown above, this means keeping backgrounds and large sections pretty neutral and using your core brand color to add pops of color and visual interest with icons, headers, or footers. Alternatively, you can flip the script and make your branding a focal point of your design. Build the design around your core brand color and use a secondary brand color for that visual interest. 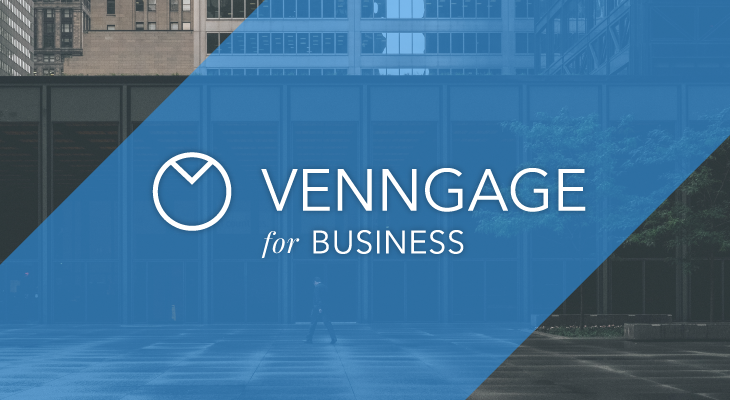 If you don’t have time to experiment with the way your brand colors are applied to each design you make, you might want to check out Venngage’s Brand Kit. Brand Kit allows you to save your brand’s color palettes, logos, and fonts so you can have quick access to them while you’re designing. 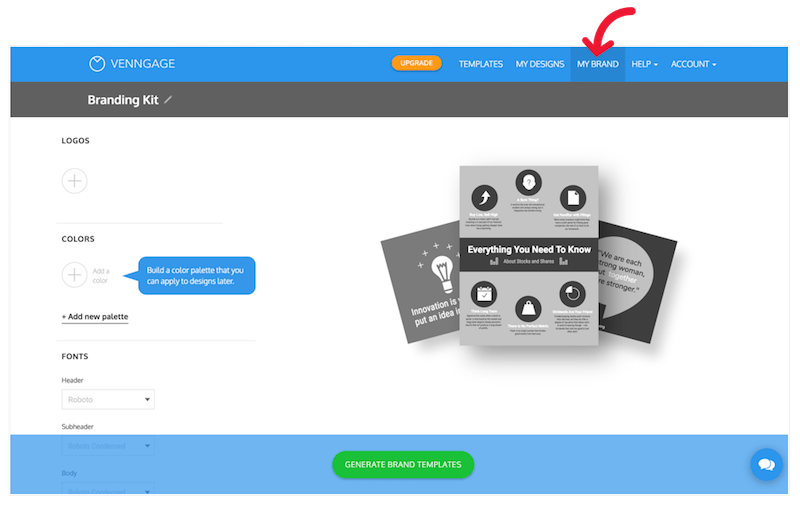 Once you save your brand elements in your Brand Kit, you can apply them to a design with a single click. Don’t like the way your design turned out? Keep on shuffling until you get a design you like! Learn more about My Brand Kit here. Having a distinct brand identity is crucial for the success of your business. So spend a little time, get to know your brand personality, and pick the brand colors that reflect your brand’s unique identity.